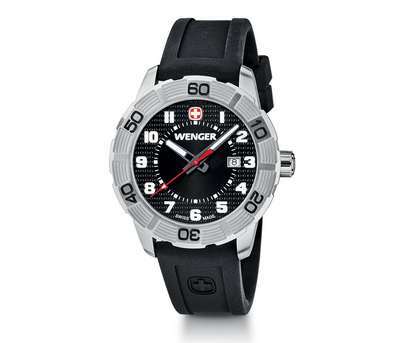 This customized Wenger Roadster Watch Black Dial Black Silicone Strap is water resistant to 100 meters. 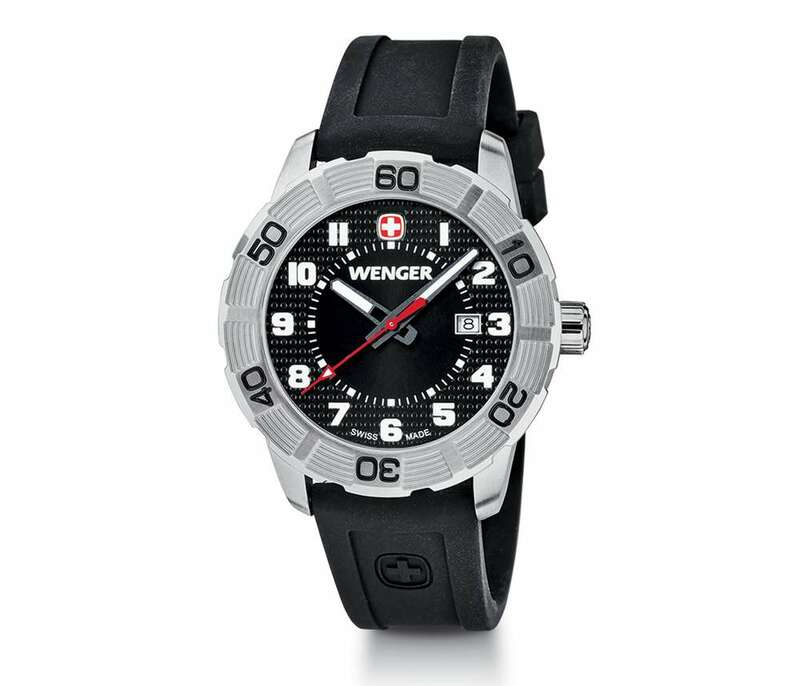 Wear a touch of class with our Wenger Roadster Black Dial Black Silicone Strap watch. This Wenger watch features a Swiss-made stainless steel case, unidirectional rotating bezel sapphire coated mineral crystal, and luminous hands, numerals & markers. It is water resistant to 100 meters (330 feet). You can select from various imprint methods and colors available to customize this affordable solution to your business. Is a great option for sporting goods and outdoor industries. Gift your valuable customers something they will cherish for lifetime and get more love for your brand. Minimum number of items in each order: 10 items.